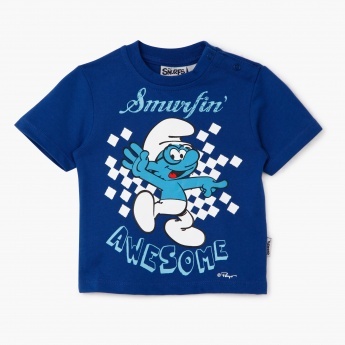 Brighten up your kid's ensemble with this t-shirt. Sporting adorable print of Smurfs, it is a must-have. 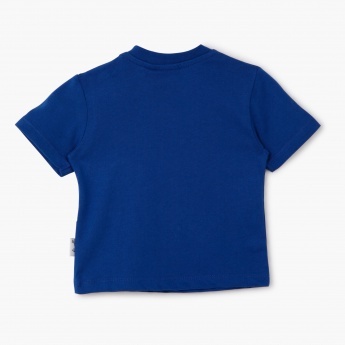 Fashioned with crew neck and short sleeves, it offers utmost comfort.